Free to use Ninja Star Throw Art Brushes, please look at the picture below where its located when opening eps file. 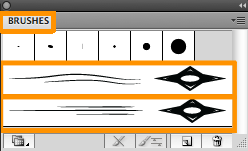 Its located in the Brushes panel. 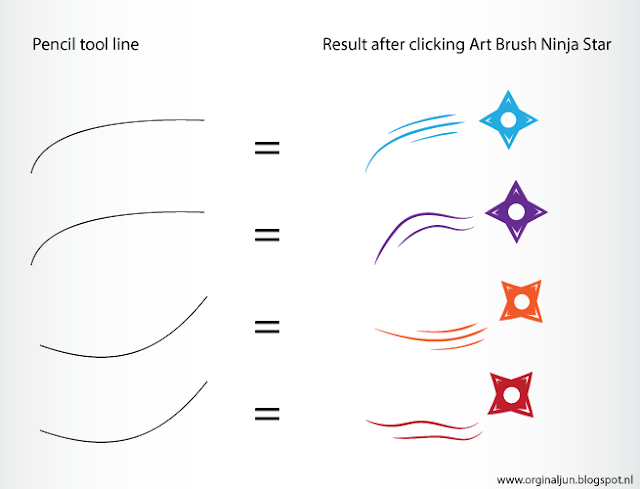 If you want to use art brush then please draw a line with the pencil tool in 100% view, because if you dont draw a line in 100% view it will get distorted. Also please draw a simple line and not too complicated. If you want to change color just click on a different color in color swatches. If you want separate colors you have to expand the ninja star when drawn, after this you fill it with through selecting or fill bucket.